February 3, 2016 by Ecommerce News. About Acquisition with tags The United Kingdom. 4079 views. The British super market chain Sainsbury’s has acquired Home Retail Group for 1.3 billion pounds, or 1.7 billion euros. With the acquisition Sainsbury’s wants to fight the competition from Amazon in the United Kingdom as well as being better capable of delivering foods and drinks that are ordered online at the customer’s home. Home Retail Group was especially interesting for Sainsbury’s, the second largest supermarket retail group in Britain, because of its ecommerce company Argos. Sainsbury’s was already familiar with Argos, as it experimented with shop-in-shops of the catalogue retailer in ten of its biggest physical stores. With discount supermarkets such as Aldi and Lidl breathing down their neck and Amazon gaining more and more ground in the UK when it comes to selling fast-moving consumer goods, Sainsbury’s needed a big, online non-food player to grow further again. With the takeover Sainsbury’s would become the UK’s largest non-food retailer, ahead of John Lewis or Marks & Spencer, with about 2,000 stores and 100,000 products combined. 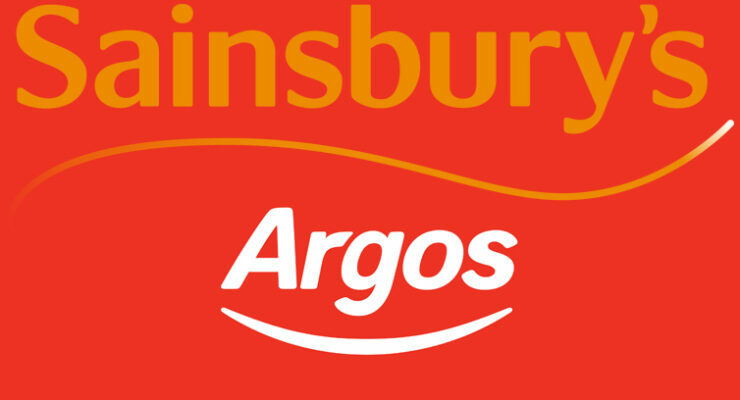 Plans are to shut down the majority of the existing Argos stores and to sell these items in the Sainsbury’s supermarkets. Last month it became known Sainsbury’s offered 1 billion pounds for Home Retail and that this offer was rejected.